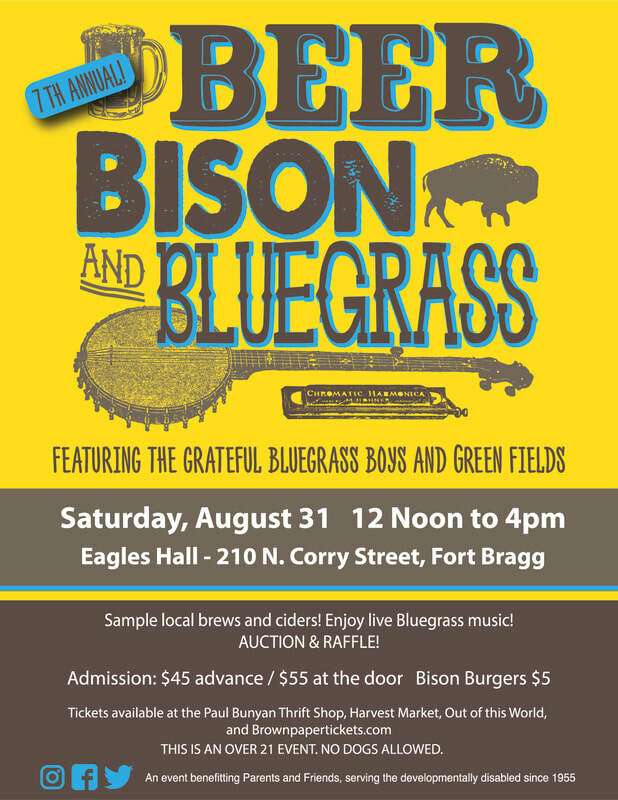 Beer, Bison & Bluegrass - Parents and Friends, Inc.
Our annual fundraising event Beer, Bison & Bluegrass, will back for its seventh year on Saturday, August 31, 2019 over the Labor Day weekend! This event is a fundraiser for Parents and Friends, a coastal 501c3 non-profit organization since 1955 that provides opportunities for individuals with developmental disabilities to participate fully in our community. For more information call Jackie at 707-813-7052. We could not do this without the support of our incredibly generous volunteers, sponsors and supporters!